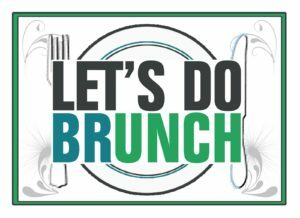 Saturday, February 25th, 9:30 AM at the Original Pancake House in the Forks Market. Note the time change – we’re meeting an hour earlier to avoid the rush. For more information on these and future events, check out our Events page or click on the event name in the right sidebar. You can find past events by using the ‘Search this Site’ tool, also in the right sidebar. The Humanists, Atheists, & Agnostics of Manitoba wholeheartedly condemn the violence that has devastated the Centre Culturel Islamique de Québec. We strongly believe that no matter what our ethnic origins or our religious beliefs (or non-beliefs), we are all unique human beings, and none of us deserve to undergo such horrors. 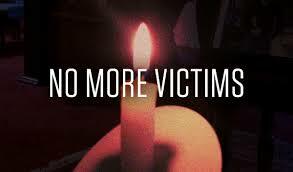 The actions of the gunman do NOT represent the views of the vast majority of Canadians. Our sympathies go out to the family and friends of all the victims, as well as anyone who is now feeling unsafe in their own house of worship. We are thinking about you. We will be adding two new ex-officio (non-voting) members to our executive, to liaise with our rural chapters. Helen Friesen has stepped down from HAAM’s exec after 20 years (thank you Helen! ), but will now represent the Eastman Humanist Community (Steinbach area). The rep for the Pembina Valley Secular Community (Morden-Winkler area) is yet to be decided (and will likely need to remain anonymous). In keeping with February’s theme of evolution, it’s fitting that we help our fellow creatures, since we share so much of our DNA with them. Wildlife Haven Rehabilitation Centre has been helping Manitoba wildlife since 1984. Educate about awareness, appreciation and peaceful coexistence with wildlife. Wildlife Haven is permitted to rehabilitate and care for injured, sick and orphaned birds, including raptors (eagles, hawks, owls, falcons); mammals, including rabbits, squirrels, bats, foxes, coyotes, raccoons, bobcats; and amphibians/reptiles (turtles, frogs, salamanders, snakes). People finding these animals can call for advice, or to arrange pick-up or drop-off of the animal to the centre. More info is available on their website. Wildlife Haven also runs an educational program, featuring wildlife ambassadors such as owls, hawks and falcons, and reptiles and amphibians, suitable for schools, service clubs, community events, senior living centres, etc. Volunteers started Wildlife Haven out of their backyards before moving to the University of Manitoba’s Glenlea Research Station in 1993. In 2008 it moved to a retired dairy barn in Île des Chênes, and in 2015, construction began on a permanent home with a wildlife rehabilitation hospital and education centre. Future plans include a waterfowl overwintering enclosure, a variety of outdoor wildlife enclosures, raptor flyways, a natural wetland pond, a prairie tall grass site and a fruit orchard for wildlife and humans to enjoy. Let’s support this valuable work! Tax receipts are available for donations over $10. If you would like to donate but cannot attend the meeting, you can do so via the PayPal link on the right sidebar. Just include a note letting us know that the money is for the charity. We recently received two whole boxes of books donated by a friend of Helen Friesen‘s who passed away last fall and left his entire collection to HAAM. His name was Hank Neufeld, and Helen says that “he was a very outspoken atheist and he had a lot of books”. She traveled to Swift Current, Saskatchewan to preside at his memorial service, and brought the books back with her. This is an interesting collection, dating back many years. 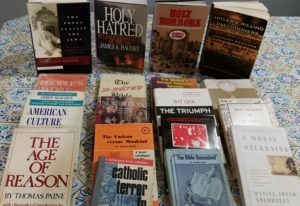 A number of the books are about religious persecution and politics, and several are polemics against the Catholic Church. Quite a few have historical value, and/or are about religious history. Some bear a stamp indicating that they once belonged to the now-defunct Society of Prairie Atheists in Biggar Sask. Our sincere condolences go out to Hank’s widow, Joyce, and all of his family, along with a huge thank-you for this wonderful donation. You can find the list of new books on our Library page. January brought us out to Green Valley School in Grunthal, Manitoba for what has become a biannual visit to Michael Zwaagstra’s high-school class. This was a first for me of sorts, as we usually meet with his Ethics class; this was our first time speaking to his World Religions class. It was also the first time I teamed up with fellow HAAM member Tammy Blanchette. I hope to see more of Tammy in outreach. When it came to the Q & A portion of the class, I often found myself thinking “Geez, I wish I’d thought to answer the question that way.” As has been mentioned in the past, we do these classes in pairs (just like the Mormons). This is not so much for mutual support or even safety, but because Humanism is a very diverse belief system – if you’re just beginning to understand it, it helps to hear different perspectives. The demographic of the Grunthal area is Christian, and the students we have talked to over the past five years or so are exclusively Christian. Michael Zwaagstra himself is an excellent educator, and judging from his personal writings and the exchanges I have read and engaged in with him, he is an unabashed Christian. Knowing that, and after reading a previous syllabus from his class, I realize that these classes have a definite Christian bias. But I still have to offer kudos to Mr Zwaagstra, as he is giving young people the opportunity to meet many who don’t share their worldview. He has had Jews, Muslims, Hindus, and yes, Christians, come visit his classes. In the Manitoba school system there are a few other schools that offer a world religions-type class, but to my knowledge no one else brings in guest speakers who allow the students to, as they say, “get it from the horse’s mouth”. In today’s world, it’s imperative for each of us to understand at least the basics of each other’s beliefs, and it baffles my mind that more schools don’t make comparative religion a requirement. Mr. Zwaagstra and other educators are working to remedy that. The class was about thirty students this time. Most every year they are asked to look into Humanism and check out our website before our visit. Much to my delight and surprise, this year they actually did (that has never happened before). Based on their questions, it seems that most of them stuck to just the website, which is unfortunate. Humanism has a deep, rich history to be explored. I would have preferred that they learn more about the humanistic ideas of the ancients, spanning the great societies of Greece, Rome, India, and the Far East. Or they could take a more modern approach and examine ever-evolving documents such as the Humanist Manifesto (I, II, and III). And of course, the Amsterdam Declaration of 2002, which covers the fundamental principles of Humanism today. Over the few years I’ve been doing this, the classes seem to follow a pattern – Introduction, Presentation, and then a Q & A (to which no one ever wants to ask the first question). Once the first question is out there, the gates open, but this too follows a pattern – about 30% of the class asks 100% of the questions. I often wonder about the students who remain silent. Are they indoctrinated to the point that they think we are ‘of the devil?’ Are some of them closeted atheists who fear they might be outed if they ask the wrong question? I suppose it could be that some kids just don’t like asking questions, or possibly don’t even want to be there. But the latter I find hard to believe, since this is an elective course. Tammy and I fielded all the usual questions – where we come from, the Big Bang theory, morality, and what we do in outreach. Since it seems they kept their research primarily to HAAM’s website, we spoke about some of the content of the site, such as a public exchange about faith and the historicity of the exodus between myself and Mr Zwaagstra. Some students had questions regarding the article I wrote about Southland Church’s connection to churches that support the Ugandan Anti-Homosexuality Act (better known as the kill-the-gays bill). This was of special interest to a few of the students who attend Southland Church. As these conversations go, they sometimes turn to the unusual. 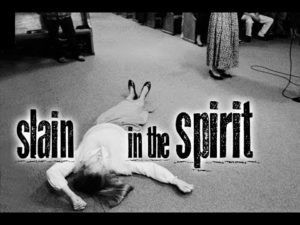 We talked about such concepts as speaking in tongues and being ‘slain in the spirit ‘. 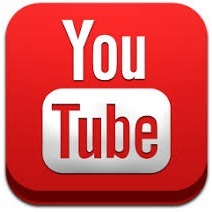 Both are backed by the ‘solid evidence’ of personal experience and what some believe is empirical evidence in the form of this Nightline video. These parts of the discussion can be quite difficult, especially when talking to young people who have had these ideas reinforced for most, if not all, of their lives. This is why just talking about what we believe and why we believe it in outreach is so important. We’re under no illusions that we can change the minds of believers; it’s their right to believe what they choose. But through discussion and debate we can light the spark of critical thinking and rational thought. And that will create a better world for all of us. We are now listed as a member organization on the new Human Rights Hub of Winnipeg. The Human Rights Hub provides a central space to coordinate and promote the events and activities of the many individuals and groups in Winnipeg taking action on human rights issues! Their website includes a calendar for human rights events; current employment and volunteer opportunities; profiles of Winnipeg organizations active in human rights issues; and a blog to learn what organizations are up to in our city. Check it out! Our First Brunch was a Big Success! What a lovely, bright morning at the Forks. It was Pat Morrow who said “I’m going to invite folks to a brunch. Doesn’t really matter if anyone shows up, I’ll be there.” Well, the night before the RSVPs totaled 22 people. By our count, 27 Humanists showed up at the Original Pancake House at the Forks! Pat had the wait staff scrambling to seat all of us. It was a great opportunity for good food and good conversation. We had a mix of long term members, a few who we haven’t seen in a while, and some new faces as well! Grant and I sat by a young couple with their toddler. They were really kind and interesting. Let’s hope they come out to a regular meeting. By a fluke/coincidence, we also met another new person, just because there wasn’t room left for her to sit! She was there to join another Meetup group, but they had no more seats at their table. She asked if she could sit with us and we all said sure!! Turns out, she’s one of “us”. And according to Mandy Wood, she was “amazing” and a pleasure to talk with. Click here for a photo of a few of the attendees. 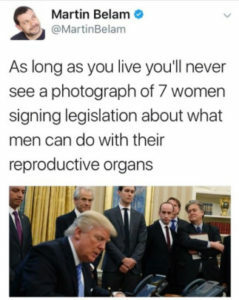 On January 23rd 2017, in one of his first acts as President, Donald Trump re-enacted the Global Gag Rule, prohibiting foreign NGOs receiving U.S. assistance related to family planning and reproductive health from using non-U.S. funding to provide abortion services, information, counseling, or referrals, and from engaging in advocacy for access to safe abortion services. Trump’s version of the Global Gag Rule is even more extreme than past administrations, and will extend to all global health assistance provided across US departments. In response, Action Canada for Sexual Health and Rights drafted a public statement calling on the Government of Canada and other sexual and reproductive rights allies to increase development financing in this area and to champion these issues within diplomatic efforts. The statement will be shared with Prime Minister Trudeau, Minister of International Development Marie-Claude Bibeau, and Minister of Foreign Affairs Chrystia Freeland. HAAM has added its name to the list of signatories who support the statement. Call to Action! Please write to your MP to add your individual support. Click here for a template letter. 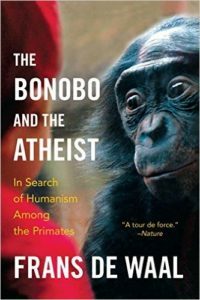 In The Bonobo and the Atheist, primatologist Frans de Waal relates personal accounts of his work with primate species. He has spent years studying the similarities and differences between primate social societies and our own, concentrating mostly on morality, empathy, sympathy, altruism and a few other behaviours that many mistakenly deem as solely human attributes. As a result of these studies, De Waal argues that moral behavior does not begin and end with religion but is in fact a product of evolution. His research demonstrates that human kindness is a biological feature of our species and not something that has to be imposed on us by religious teaching. Nevertheless, De Waal defends religion in this book, (even although he is an atheist himself), referring to it as cultural scaffolding that builds upon and enhances biologically innate moral rules. He appears to accept the view of science and religion as ‘non-overlapping magisteria’. This has resulted in some interesting critical reviews, particularly from non-believers who are angry with him for giving religion a pass. Is De Waal too soft on religion, or are his critics just bitter, as De Waal’s defenders claim? Why not read it and decide for yourself? Find it in our Library. 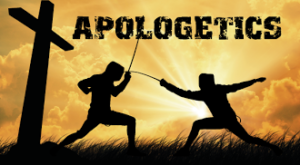 Two of our members were recently interviewed by a Christian pastor who wants to understand the worldview of non-believers so that he can coach his parishioners to refute it. That experience makes for a very interesting report from Pat Morrow. His article appears on our Perspectives page. You can read it here.